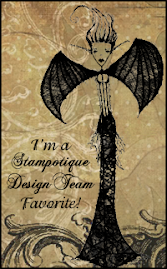 Lisa sparkle and stamps: Three Goddesses, Two challenges, One image! I've not been feeling brilliant of late, so I've spent some time quietly colouring in some images I stamped a few days ago. It's kept me busy whilst I haven't been able to dash around like I normally seem to be. Ive made a few of the images up into cards. 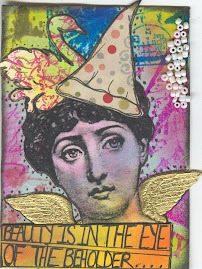 This is one of the Sweet Pea stamps I won over at the Crafts and Me blog last week. 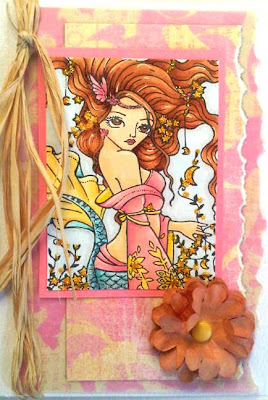 This is my entry for the current challenge over there at the moment which is to Pink/Yellow/Brown. Here's a close up. I've used Stickles and white gel pen to pop the image out a little bit. The paper and vellum in the background are from my stash and the raffia was tied round the wrapping on a present! Then I had a go at the I <3 Promarkers blog challenge which is to use Black and White and one other colour. After seeing Vixykins gorgeous entry I was inspired to have a go at colouring an image in greyscale. Finally I had a go at her in shades of red and yellow. This version was stamped onto a smacked acetate background, then stamped again onto white card. 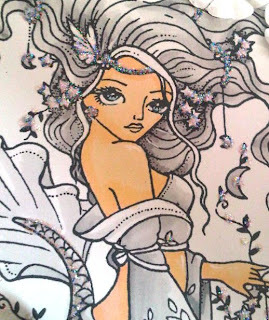 This was then coloured with Promarkers, the goddess was cut out and layered into the stamped background. I wanted to try a different card fold, so I went for this one. Cool eh? 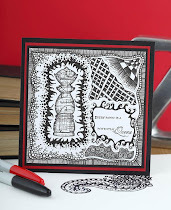 The fab Stampin Up Baroque swirls are stamped in Versafine and clear heat embossed. The beautiful flower on the front section was made by my friend Kay, using a couple of HUGE flower punches she got at the NEC........and more Stickles of course! Hi Lisa, lovely to see you joining us on I ♥ ProMarkers. 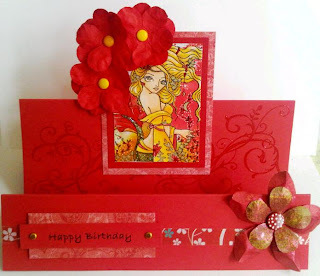 Your card is lovely, I love those images, I need to get some..... lol. Oh, that's smashing. She looks great in greyscale. 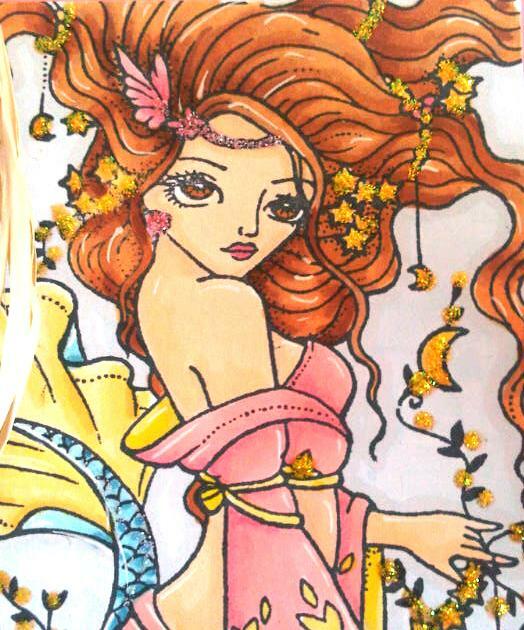 Thanks for taking part at I ♥ Promarkers this week. these cards are gorgeous.I love that Image! 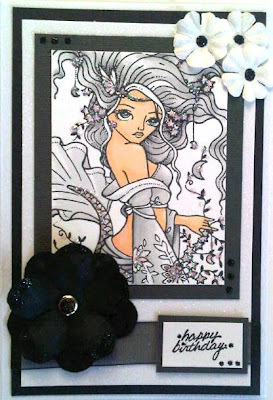 Beautiful cards, thanks for joining us at I ♥ Promarkers. Great cards Lisa!! 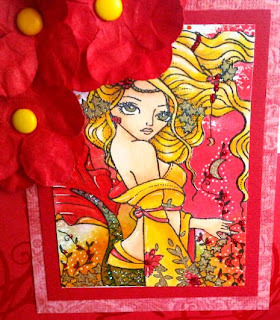 I tend to revert to colouring and card making when I feel a bit low too!! Hope you feel beter soon.